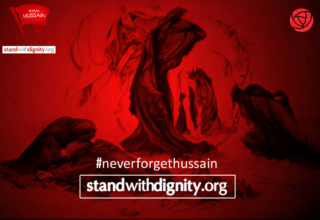 As we know, Imam Husain (AS) did not rise in Karbala for the sake of power, authority, or a materialistic gain. Rather, he sacrificed all that he had for the sake of reviving the religion of his holy grandfather, Prophet Muhammad (SA). This religion, namely Islam, is composed of five pillars and one of them is SALAH. 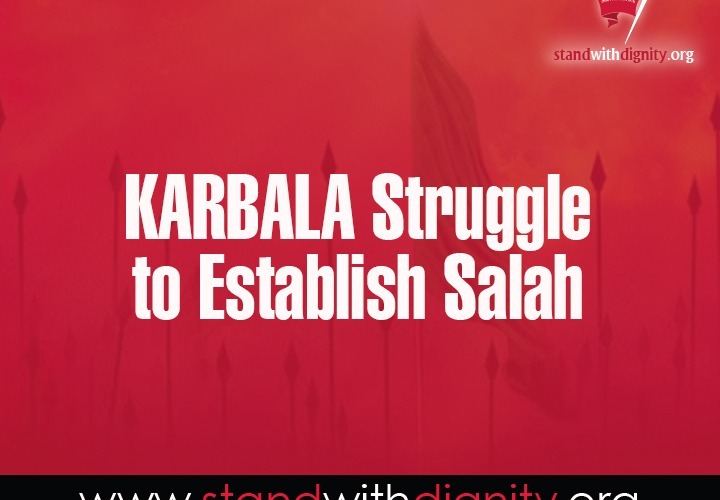 Among the major goals which the massacre of Karbala served to accomplish was to highlight the importance of performing and establishing the obligatory daily Salah. Hence, Imam Husain (AS) sought to emphasize the importance of prayers in Karbala and the best example which portrays that is at noon time of Ashura when thousands of swords, spears, and arrows were showering at Imam Husain (AS) and his companions about to shed their blood. Yet, at this most occupying moment where everyone was busy fighting for Islam and defending their lives and that of their families for the sake of Allah (SWT), this did not prevent them from remembering to perform the obligatory prayers. It is narrated that on the noon time of Ashura, Abu Thumama Al Sa’edi observed that Dhuhr time has come, so he signaled to Imam Husain (AS) that prayer time has come. So Imam Husain (AS) raised his head towards the heavens and said to him: “You mentioned Salah, may Allah make you from those who pray (musaleen) who remember Him, yes indeed, the beginning of its time; request them to stop so that we may pray.” And Imam Husain (AS) led his companions in prayers in the state of Khawf (fear) in the midst of shooting arrows. A group of noble companions took their posts to defend their master and shield him from the arrows by their chests, among them Zuhair ibn Qayn and Sa’eed ibn Abdullah Al Hanafi who were both martyred in these moments as they defended the Imam and his establishing of the Salah. It has been narrated historically that hundreds of arrows were shot by soldiers of the tyrant Yazid towards the congregational prayers that were led by Imam Husain (AS), and at least thirty arrows wounded the holy Imam. Perhaps this is only Salah in history in which an Imam leads a congregation prayer in the midst of arrows raining on them. Granted, for every physical deed lie a greater meaning of that mere action of worship – every action is symbolized by the latent and higher essence without which the mere physical action bears no meaning or remains incomplete. For example, praying the physical prayer in itself is not enough and is unaccepted if the worshipper fails to believe in the Wilayah of our Infallible Imams. Hence, we find that on the day of Ashura, the army of Yazid (LA) opted to pray Salah…but is there Salah really accepted? After all, they are killing the symbol and embodiment of Salah himself! Likewise, when we speak about fasting during the holy month of Ramadan, the obligatory action of abstaining for food, drink, and other forbidden actions deems your fasting as correct. However, the essence and real meaning of fasting is the fasting of the tongue and behavior where a believer abstains from bad-mouthing, and from ill-treating others, and from engaging in any Haram act. Hence, according to our Prophet (SA), “Many are the fasters whose fasting does not bring them anything except hunger and thirst and many are those who keep standing in the night but their standing does not bring anything except being awake in the night”. So, if a fasting person engages in backbiting or cursing, then in essence, he has broken his fast even if he has maintained the physical fast. 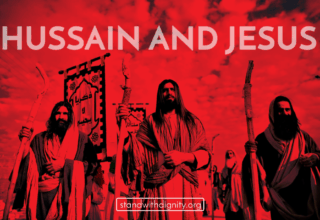 The followers and lovers of Ahlulbayt (AS) often refer to themselves as Ansaar Al Husain (the supporters of Husain), but let us be cognizant of the fact that the true supporters of Husain (AS) are the ones who establish prayers properly and on time. Those who neglect prayers are not from the supporters of Husain. And those who pray but do not attempt to perfect their prayers or is ignorant of its Ahkam (laws) cannot claim to be from the supporters and followers of Imam Husain (AS). Unfortunately, nowadays some Muslims do not make an effort to perform their prayers on time and tend to postpone or combine their prayers as Qadhaa at the end of the day. Unless there is a case of emergency where prayers has to be delayed till the earliest possible time to perform them, there is no legitimate excuse not to pray on time. Even if we are busy engaging in a noble effort or a type of worship, Salah takes priority except when the rights of other believers are involved. Karbala teaches us that even when Imam Husain (AS) and his companions were performing one of the noblest deeds in Allah’s eyes and the greatest of Jihad – fighting for the sake of raising the banner of the true and pure Islam, when the time of prayer came Salah was a priority even over holy Jihad. Unfortunately, it is observed that some believers think that by engaging in Matam or Azadari activities on the day of Ashura or Muharram nights, they are relieved and excused from performing their obligatory prayers on time or at all since their sins are forgiven by doing the most recommended of acts. Certainly it is true that one tear shed for Abi Abdillah (AS) and the hand that is raised in lamentation cannot be affected by Hell-Fire, however, we must understand that certain basic criteria must be fulfilled first before we anticipate the generous forgiveness and intercession of our Imams (AS). 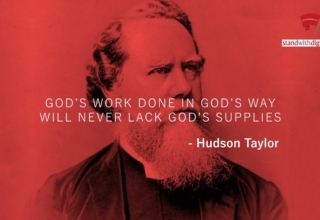 Let us not take their intercession for granted and fail to complete our duties. We will certainly please them more by fulfilling the obligatory and alongside that, offering that which is recommended. 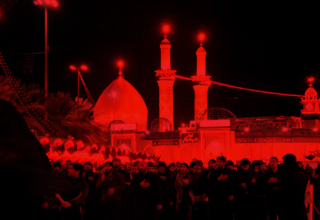 Furthermore, Karbala teaches us not only the importance of establishing prayers even in the midst of holy war, but also emphasizes the importance of performing the night prayers (Salat Al Layl). It is narrated that on the night of Ashura, Imam Husain (AS) and his companions spent their last night in prayer and intimate worship. And on of night of the 11th of Muharram post-Ashura, Imam Zainul Abideen (AS) observed his aunt Seyyida Zainab (AS) to be praying the night prayers in a seated position instead of standing. So he asked her the reason for that and she answered that the grief of the day has taken its toll on her and has “broken her back.” Even though Lady Zainab (AS) was overwhelmed with many heartbreaking calamities that would break down any person mentally, emotionally, and physically, she still insisted on performing Salat Al Layl, a non-obligatory prayer, even if that meant her having to pray in a seated position. In fact, one of the last things which Imam Husain (AS) stated in his will to her before his martyrdom was to remember him through Salat Al Layl. This is besides the fact that a person with in depth recognition of the status of AhlulBayt (AS) would recognize that the personified Salah is their immaculate beings and the walking Quran are their holy beings! Yet, even the walking and talking Quran and the essence of Salah signified in their infallible beings are themselves hastening to perform the obligatory Salah prescribed on them by the Almighty (SWT). 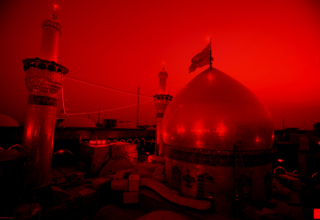 Through Seyyida Zainab (AS), Imam Husain (AS) wanted to convey the message to the whole world that the purpose of his struggle on the plains of Karbala was for the sake of establishing the connection and relationship with the One Creator, through the obligatory worship and prayers.